The Lady Artesians moved onto day two of the Midstate conference tonight at Plainfield High School. Three of the five positions moved on to the next round and the other two positions moved into the back draw. Zoey Viewegh at No. 1 singles beat Whiteland’s Reese Johnson 6-1, 6-4 and moves on to the championship round against Mooresville’s Morgan Fitzpatrick. Fitzpatrick took the victory in their previous encounter, 6-2, 6-1. Zoey Viewegh at No. 1 singles beat Whiteland’s Reese Johnson 6-1, 6-4 and moves on to the championship round against Mooresville’s Morgan Fitzpatrick. Fitzpatrick took the victory in their previous encounter, 6-2, 6-1. Maggie Viewegh at No. 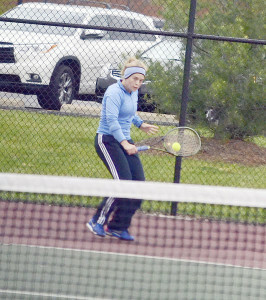 2 singles fell to Mooresville’s Renee Majeski 6-0, 6-0 tonight. She moves on to play Emily Chatham of Greenwood for third place. Ali Viewegh at No. 3 singles defeated Mooresville’s Amanda Lewson 6-1, 6-1. She moves on to the championship match tomorrow against Franklin’s Abi Smith. Bethany Elmore and Emily Seger at No. 1 doubles fell in their semi-final match to Plainfield’s Paige Downey and Rachel Bahr 6-0, 6-0. 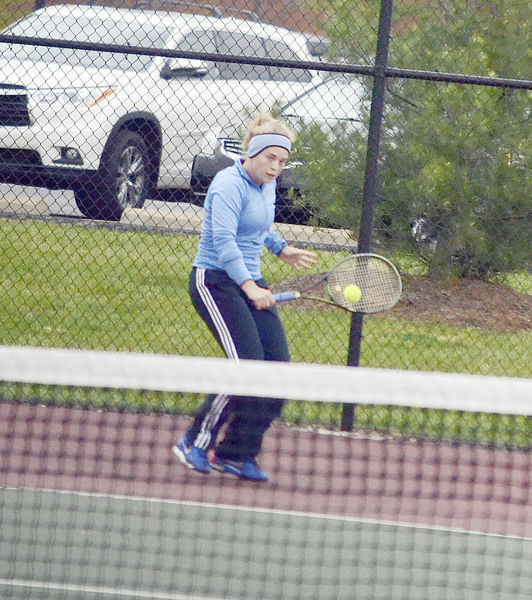 They move on to play Franklin’s Daryn Hyneman and Kate Purk for third place. Ali Wilt and Karissa Wampler at No. 2 doubles moved on to the final of the back draw for fifth place. They take on Decatur Central’s Yennie Tran and Taylor Odell.